Yes, my cat and I have the same birthday. Now, before you completely judge me and think I am one crazy cat lady (which I may be, but this is not the reason), there is a legitimate reason as to why we share this day. Mew was brought home on June 21st, and at the time was estimated to be 4 weeks old. I simply minus a month, and WHALA~ her birthday was May 21st, which so happened to be my birthday! It was fate if you ask me. I know most people make the day their pets were brought home their birthdays, and I did consider it, but I wanted it to be as close to her actual birth as possible. Did my explanation make me seem less crazy? 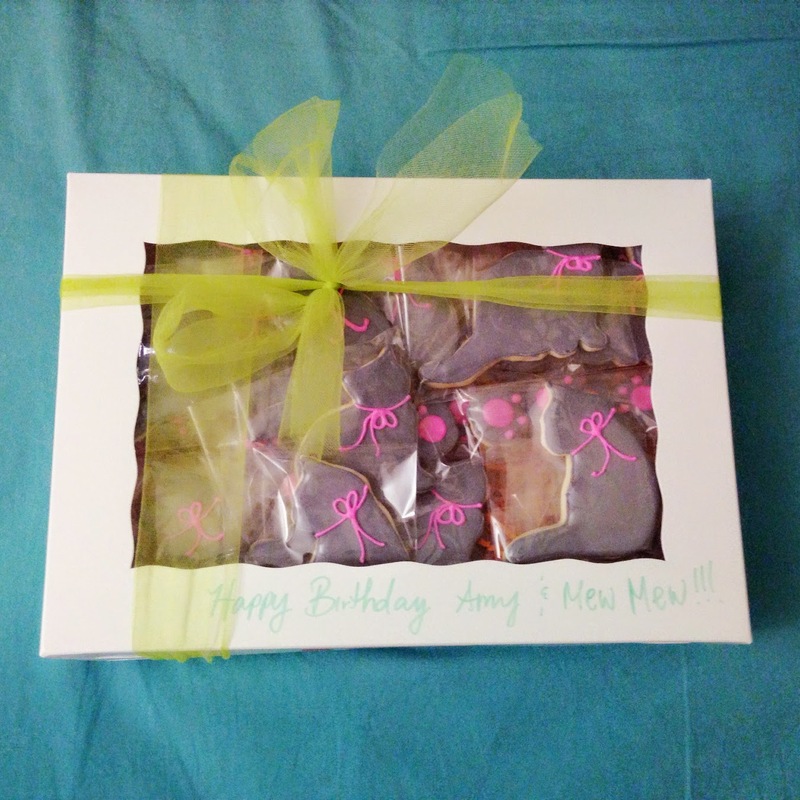 What if I mention I ordered custom made cat cookies from a friend to pass out for her birthday? Okay, let the judging begin! But, at the end of the day, Mew is my first child that I have given my non-stop, unconditional love to, and I am so glad she is in my life. I love her, even with all her sas and scars she has given me. Custom made cookies by Perfectly Sweet by Kim. The best! !